Jorge Eliecer Molano is a Colombian lawyer who is 23 years in the defense of human rights. He took care of cases like the disappearance of 11 prisoners after the siege of the Palace of Justice in 1985, the massacre in the community of San José de Apartado, where two children were beheaded by the military and paramilitaries, the bond of four Colombian generals in creating a group paramilitary murder of a student during the military invasion of the University. Now, Molano denounces the actions of the Colombian intelligence service and the Department of Administrative Security (DAS), after the revelations of the Colombian Attorney who brought to light that during the tenure of President Alvaro Uribe, the DAS investigated politicians, trade unionists, journalists and human rights defenders (Colombian and Spanish) to defame them. During these years, Molano was threatened. By which sectors have you been threatened for defending human rights? Jorge Molano – The threats came from the Ministry of Defence and were forwarded by the vice-presidency of Colombia in 2008. They told me that I run an extraordinary risk. I asked where this risk comes from, but the question was not answered. This year the government told me that after meeting with the Board of Generals and Defense Minister, the military did not regard my job well because I was “attacking military honor” and was even asked to leave the country. One of the cases you reported is the disappearance of prisoners after the siege of the Palace of Justice in Bogota in 1985. These events occurred 25 years ago. Now Colombian Justice issued a sentence. 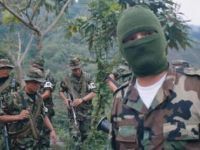 Eleven people from the M19 guerrilla group were taken away by the Colombian Army from the Palace in the heart of the capital, with television cameras recording this event. Nothing more was heard of them. They were taken to military prisons and died from torture. This was denounced and there was a judicial process in which intimidation was a recurring practice. After 13 years, the attorney overseeing the case managed to open the ditch from where the bodies were exhumed, but they were murdered on April 18, 1998. The judge who sentenced General Plazas Vega in July had to leave the country because of threats 15 days after delivering the sentence. The magistrate who directed the case was removed from office by pressures from the army and political sectors. We are hoping that they consider several generals, that is positive, but the government has no intention of fulfilling it. General Plazas Vegas has been sentenced to 30 years for all these events. But he is imprisoned in his residence, a house of 600 per 400 m². In addition, last year, while he was undergoing trial, Plazas Vegas was hired by the Military University to teach discipline of Juridica War, in which lawyers for Human Rights are considered – after the guerrillas – as the second front of subversion of the country. What involvement does the ex-president Alvaro Uribe have in the investigations ordered from the DAS secret service against human rights defenders? During eight years of the Uribe government we were facing an incompetent president, who did not know what was going on, and a president who headed a criminal enterprise. The action of DAS, besides, also crossed the border, and was an action done with Operation Freedom in different countries against European citizens, parliamentarians and members of the Spanish Parliament. These actions of espionage are related to subsequent murders, displacements of populations and attacks. All these facts can be considered as a crime against humanity, as recognized by the UN. Therefore, Uribe has to answer. He will be judged by the Commission on Accusations of the Congress, which some prefer to call the commission of acquittals, because in the last 50 years, it did not resolve any case after all the denunciations, under the argument that all allegations are unfounded. We have doubts that the prosecutor acts against the four directors of the secret service linked to criminal activities. The new government has also been giving posts to those involved. When the facts are known, the prosecutor’s office orders the confiscating of computers and documents from DAS. The decision comes from the director of DAS. But the detectives kept a lot of information which they themselves protected. What’s troubling is that the current director of the DAS is the person who received notice of the action and who ordered the destruction of evidence. What implicates the CIA and what economic interests lie behind these facts? Most of the wiretapping equipment that they used was provided by the United States. Even the keys of the offices of DAS in the capital were held by members of the U.S. embassy. Colombia has become the Israel of Latin America and has held a destabilizing role in the region. In one of the reports of the Prosecutor, it is clear that the Colombian secret service was funded by the CIA in order to infiltrate the embassy of Venezuela, Ecuador and Cuba. International pressure has increased, but the European Union, which is aware of the murders that were committed and the connections between military and paramilitary forces, prefers to look the other way. They advanced, including winning space with the European Union, and the signing of an agreement for free trade. It is incredible that economic interests prevail over human rights. What is the number of political disappearances in recent years? Official statistics say 42,000 missing since 1980. According to the Forensic Medicine Department, an agency of the General Prosecutor’s office, over the past three years 7,060 Colombians forcibly disappeared. Before that, it was affirmed that Colombia was the most ancient democracy in Latin America. Anyone can see that we have been surviving a dictatorship. The numbers far outweigh those that disappeared during the dictatorship of Pinochet in Chile, Argentine military juntas and the dictatorships in Uruguay and Paraguay. What progress has been made in investigating the killing of San Jose de Apartado? This process is quite painful. As a defender of human rights, what moves me most is thinking about the image of Santiago, an 18-month baby who was beheaded. The argument of those who beheaded it was that it was killed so that, when he was an adult, there was no subversive and he would not recognize the killers. First the government attributed it to the Revolutionary Armed Forces of Colombia (FARC). What happened was that a colonel of the Colombian army received money from the paramilitaries to buy witnesses who accused FARC. After three or four years, we have the investigation reopened. A person of the 17 Brigade was linked to those who had worked with the paramilitaries. It was proven that the paramilitaries were summoned to come from different places. Two days later, the army was summoned to meet with paramilitaries in the same place. For five days, military and paramilitary forces marched together, slept in the same place and during the massacre, were together. The court decided to sue the ten Colombian military, a trial which was attended by observers from Spain, Sweden, the United States and other countries. The judge ruled on August 4 this year to absolve the military because he felt that there was no proof that they had a pact with the paramilitaries and that is not considered a crime to dismember a girl of four and a baby of 18 months. Another Colombia is possible …! !